These days, there are countless exercise regimens out there, all promising to shed weight and build muscle better than others. The one workout you may not have heard of is also one of the most fun and challenging. Circus training takes the spectacle out of the “big top” and into a gym, allowing participants to get fit while having a blast. Instead of the intense, serious mentality of many other workouts, circus training is a playful endeavor. After all, many of us have memories of going to the circus and sitting on the edge of our seats, in awe of the performers. Luckily, that sense of wonder translates directly to the training! 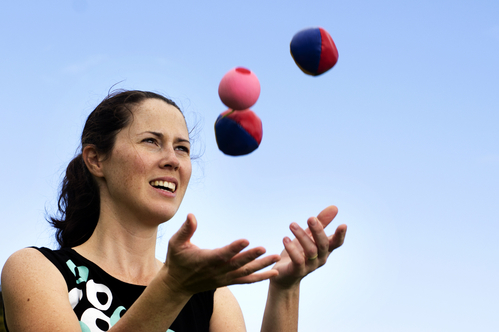 From the trapeze to juggling, each activity captures the exhilarating energy that amazes people across the country. However, even though it is incredibly entertaining, circus training still offers a workout that will shed pounds and build strength. The trapeze will test your core, sculpting your abs and arms while burning around 300 calories a session. Other activities, such as aerial skills and tumbling, will strengthen your entire body while sharpening your balance and coordination. The true beauty of circus training, aside from the fun and exercise, is that anyone can do it! You don’t have to be in incredible shape to experience the benefits of the workout and, although you may be intimidated, the community is endlessly welcoming and supportive. Your confidence will skyrocket as you perform amazing feats and strengthen your body. If you’ve never heard of circus training or have never thought of giving it a try, today is the day! With all of the workout’s benefits, you’ll be hooked after just one class. New Jersey Circus Center is the perfect place to try this form of exercise in the Morganville, NJ, area. With a wide range of circus training classes for participants of all ages, the company is passionate about building confidence and proving that anyone can experience the joy of a circus workout. For more information, call (732) 705-3244 or visit the website today.